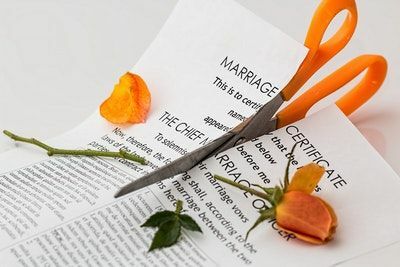 There are financial and logistical benefits that may result from a joint filing, which must be done before a divorce is finalized. This includes lower costs because the couple can be represented by one attorney and only will need to pay one bankruptcy filing fee, which may be significant based on the financial distress that prompted the filing. It is possible that the couple may qualify to file a Chapter 7 bankruptcy action based on the combined household income, whereas they would not qualify as individuals after going through the divorce. In addition, the distribution of assets and debts that is part of the divorce proceeding may leave one person with too much consumer debt to qualify for an individual Chapter 7 bankruptcy after the divorce. There are circumstances where one spouse will take steps to file bankruptcy individually in order to discharge debts, leaving him or her in a better financial position than the other spouse. A judge may view this as inequitable and may award the non-filing spouse additional property to create a more balanced situation or may award spousal support in order to provide the non-filing spouse with the means to pay down the debt that he or she still has. Let us help you understand the benefits of joint filing before deciding which path to pursue in your bankruptcy. If you live in the Roswell or Alpharetta area, the experienced bankruptcy attorneys at Charlton & Glover are here to help you. Use the contact form or call (770) 993-1005 to schedule a free initial consultation.